Congrats to all Rails Swimmers on a great season. Not only were we featured in a Des Moines Register article, the team was mentioned in the recent Norwalk paper too! Pictured are all of the swimmers who live in Norwalk. 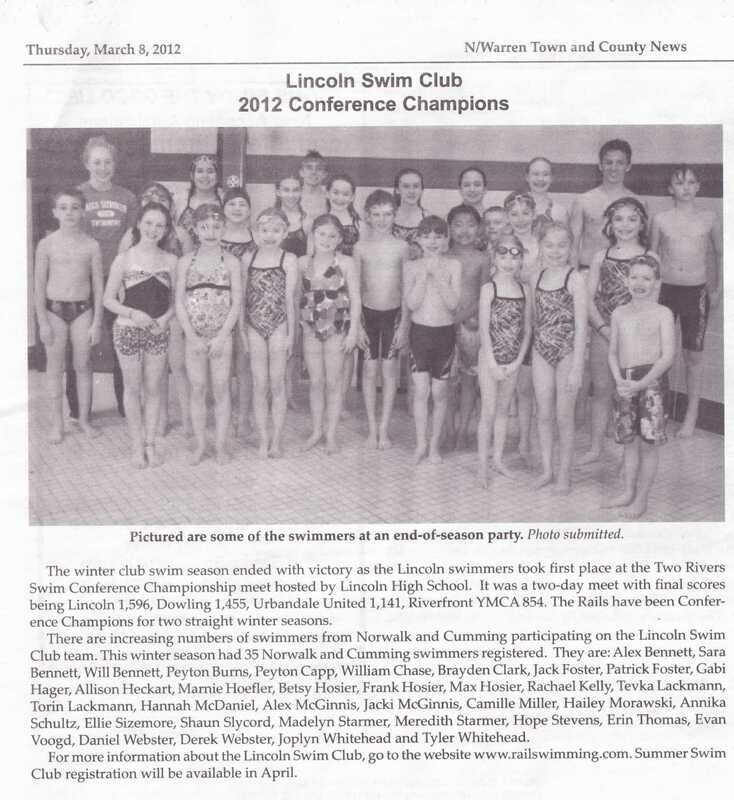 Swimming may be considered a “small” sport, but we sure are getting some big press! We look foward to making some headlines this summer too. Go Rails!